The vast and rugged landscapes of Patagonia have been explored on horseback for hundreds of years, and horses are still preferred by the Gauchos today. Visitors to Patagonia, both novices and experienced riders, can also feel the thrill and excitement of riding through the Andes or across the steppe with a range of horse riding tours. Experience: how much riding have you done in the past? Fitness: are you looking for day rides or a multi-day horse trek? Accommodation: would you prefer a comfortable hotel, a rustic estancia, or perhaps some camping? Horses: is there a certain type of horse that you wish to ride? Landscape: where would you like to ride - across the steppe, into the Andes? Culture & history: would you like to experience traditional gaucho life? 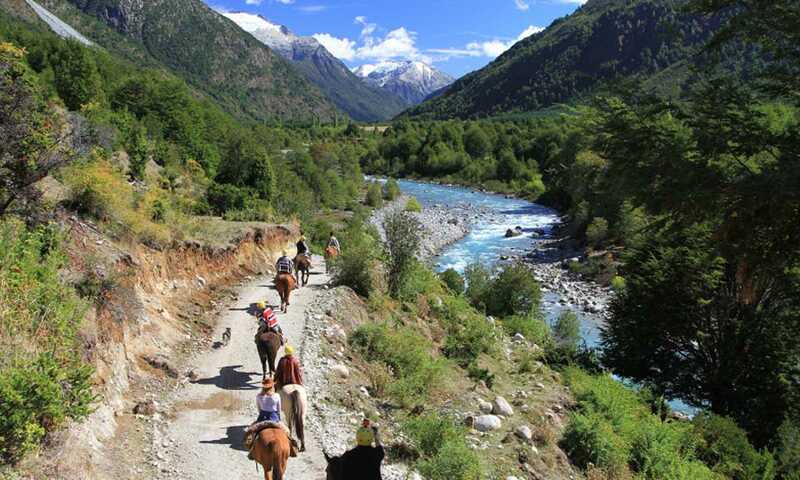 Multi-day rides are wonderful for getting deeper into the less visited corners of Patagonia, experiencing a wider range of scenery and terrain, and really getting a feel for traditional gaucho life. They typically range from 3 to 14 days, catering to wide-ranging levels of ability. If you're interested in a multi-day ride, we recommend being comfortable with 2-7 hours in the saddle each day. These trips are wonderful for getting deeper into the less visited corners of Patagonia, experiencing a wider range of scenery and terrain, from the fjords to the steppe, and really getting a feel for traditional gaucho life. Estancias are traditional Patagonian ranches, generally focused around livestock farming or horse rearing. Some are still 'working' estancias today, opening their doors to visitors who wish to visit and immerse themselves in traditional working estancia life, whilst others no longer function commercially, but are set up to allow guests to have a more rustic experience. They vary in size and comfort levels, but generally are more basic and remote than the luxury lodges. They are wonderful bases from which to escape the crowds and get a true sense of Patagonian culture and history. Rides from estancias are usually day excursions, but some offer multi-day rides as well. There are usually opportunities for all levels of ability. If the rustic and remote nature of an estancia is not for you, or you're keen to embark upon some other activities aside from horse riding, then you might like to base yourself from one of the luxury lodges/hotels that offer day rides as part of their excursion 'menu'. Each property has its own unique qualities, and we can help you choose one that suits you best, based on the range of excursions, level of comfort, quality of guides and food. Huechahue offers the quintessential Patagonian estancia experience - an opportunity to sample the true taste of gaucho life on a working cattle ranch. Each region of Patagonia offers different landscapes and experiences for riding, with the most iconic views to be found in Torres del Paine. Aysen and the Chilean Lakes offer the raw beauty of the Patagonian Andes and the Argentine Steppe, and their estancias provide the most authentic gaucho experience. The guide was friendly and knowledgble, the experience authentic as we stayed in ‘refugios’ that are still being used today, and the scenery was stunning (on the days it didn’t rain ;) ). The food was good, and we felt very welcome at the estancia. Patagonia was full of the most gorgeous landscapes, wildness, and authentic people. We had adventures, ate amazing foods, and made friends that we still keep in touch with. It was truly the trip of a lifetime. I have a lot of experience with horses but was astonished by the sure-footedness of the criollo horses. They took us over wildly steep, boggy, and rocky terrain without hesitating, and I was never nervous. Having not ridden a horse for 10 years, I was unsure at first. But no sooner had I clambered aboard, I felt perfectly safe and full of excitement! 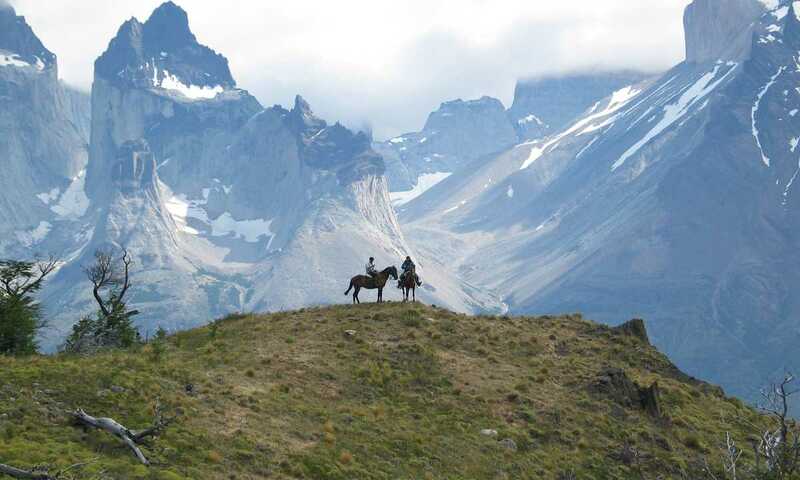 Taking in the Patagonian landscape on horseback is incredible. The horses are very well trained, and if you have the courage you can even have a go at an exhilarating gallop across the steppe - one of the highlights of my entire three-week trip! Most multi-day rides and estancia/hotel based trips run through the main season (November - April), but there are some wonderful (although less diverse) opportunities for winter rides in Torres del Paine as well (May-Sept). Anything from half a day to two weeks depending on what type of ride you prefer, where you want to stay, and how long you want in the saddle! There are plenty of trips that are suited to novices, and hotel/estancia based rides are ideal if you want to learn and build up confidence without committing to a multi-day ride. Generally, the multi-day rides are aimed at intermediate to experienced riders who regularly horse ride at home. If you are planning to join a longer trip of three or more days then you should definitely be comfortable with 2-7 hours in the saddle. The pace of your ride will always be adjusted by your guide to suit you and the other riders. Patagonia is shaped by some of the world's greatest geographical influences. The glacier fields, mountains, volcanoes, lakes and fjords make for a vast playground for a range of different adventure activities.